The conversion of a dilapidated 4400 sq ft Grade II listed barn on the former site of the Anne of Cleeves Palace set within a conservation area. The estate includes three acres of grounds with a formal garden and paddocks. 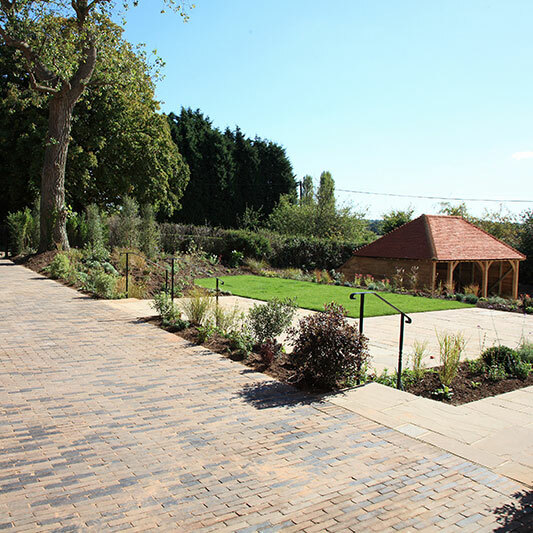 This stunning six bedroom property was painstakingly restored using handmade Tudor bricks to match existing, with a recreated lime mortar to a Tudor recipe. 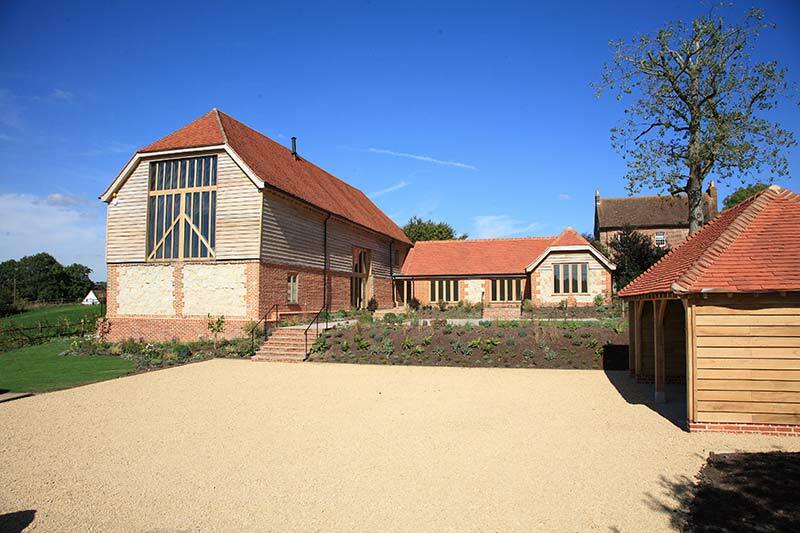 Green oak was sourced for the windows and handcrafted Reigate 'Malmstone' stone was sourced from Midhurst. 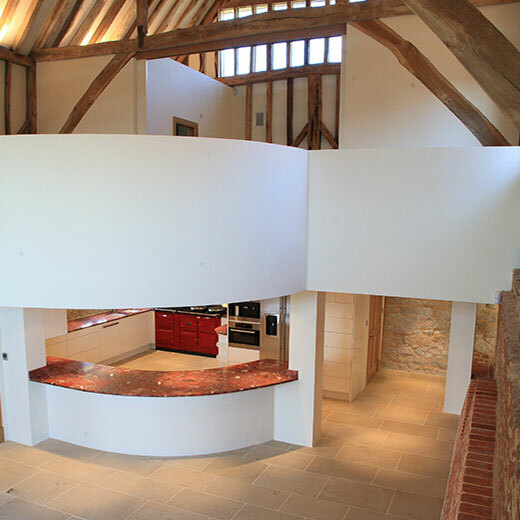 The internal structure was designed to be completely self supporting without compromising the structure of the original barn. The design incorporated a vast banqueting hall that measures 27 metres long, 7 metres wide and 10 metres high. 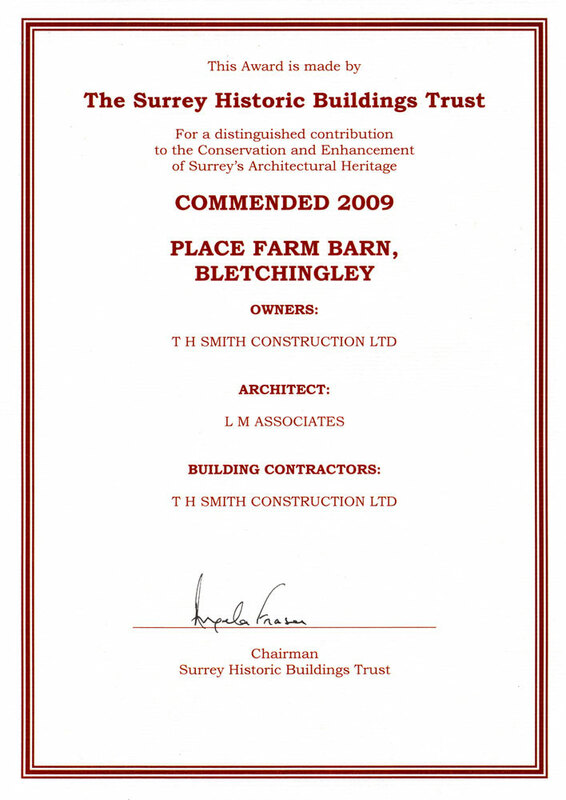 Place Farm Barn received a Commended Award by The Surrey Historic Buildings Trust. 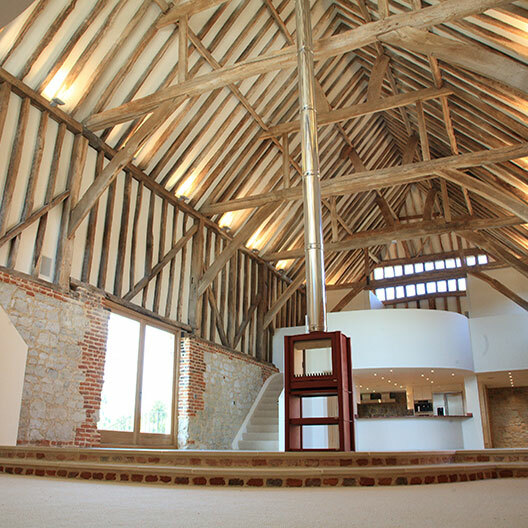 Visit our gallery page to see more photographs of Place Farm Barn, Bletchingley, Surrey.